In a world so full of advertisements everywhere you turn, it is a breath of fresh air to read or see something that isn’t trying to make a sale and is actually valuable to you. So where does that leave your art business? Cue content marketing. It is a way to advertise your art business without burning out customers who are tired of seeing yet another promotion asking them to buy art. 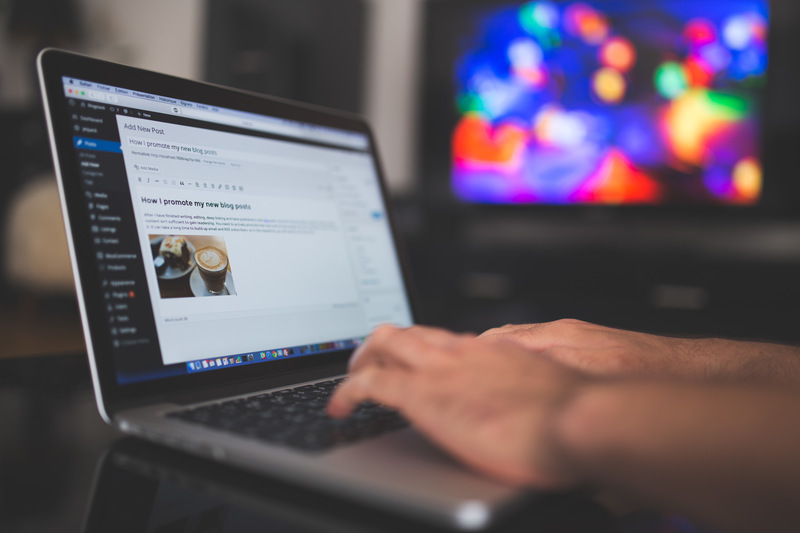 From learning the benefits to which methods to use, we give you the rundown on content marketing and how to provide valuable content for your customers, so they enjoy what you have to say and are more inclined to purchase your work. To put it simply, content marketing promotes your art business by providing valuable and engaging content for your customers. This means less traditional advertisements of your art, and more articles, videos, and images that entertain your art fans. 1. Create word of mouth about your art business (when your content is shared). 2. Build up your credibility as an artist (when you share your story and experiences). 4. Create an online presence for your brand (where potential buyers will look to learn more about you). And, all of these outcomes will help you sell more art. Marketing expert and coach for creatives, Mark McGuinness, explains content marketing. Have you been using social media or writing an art blog? You are probably already a content marketer, and you just didn’t know it! Whether you’re a beginner or a content marketing whiz, check out these five ways to promote your art business, while fans get to enjoy engaging content and avoid seeing yet another ad. Seeing ad, after ad, after ad is not very exciting for a customer, and it doesn’t tell your story as an artist, either. Building an emotional connection between you, your art, and your audience can help make art sales a lot easier. A fun and easy way to share your artist story is by creating a blog. There are many free and easy-to-use websites for blogging these days. And, if you are worried about writer’s block, we created a list of 50 topics to write about that will impress art buyers and tell your story better than a regular advertisement. Want to give another glimpse into your life as an artist? Use social media. The reason this new age marketing tactic has become so popular is because it’s a fun way to market your art business without being too aggressive. While every now and then you can advertise your latest artwork for sale, most often you should share content your fans will find intriguing—something that isn’t persuading them to buy an artwork outright, but instead is building up a good relationship with your art business. For instance, Facebook, Twitter, Instagram, and Pinterest all allow you to share blog posts, photos of your artistic process, videos from the studio, and more on your business page. This not only shows potential buyers what you have been up to in the art world (creating that emotional connection again! ), but it gets your name out there every time you post something helpful and interesting for your fans to share. Need more ideas on what to post? Check out the Artwork Archive blog for help with Facebook, Twitter, Pinterest, and Instagram. It’s no secret that visuals are engaging, that’s why you’re an artist! So don’t stop at the canvas. Artists can use videos and photos in all kinds of ways to promote their art careers. From speaking about different blog topics to teaching your latest techniques, filming videos is a fun approach to build credibility as an artist. If you upload a lesson or thought on YouTube that people can connect with, they may share your video with a new audience of potential buyers. Images are another great way to grab attention for your art business without pushing a sale (learn how to create free images here). 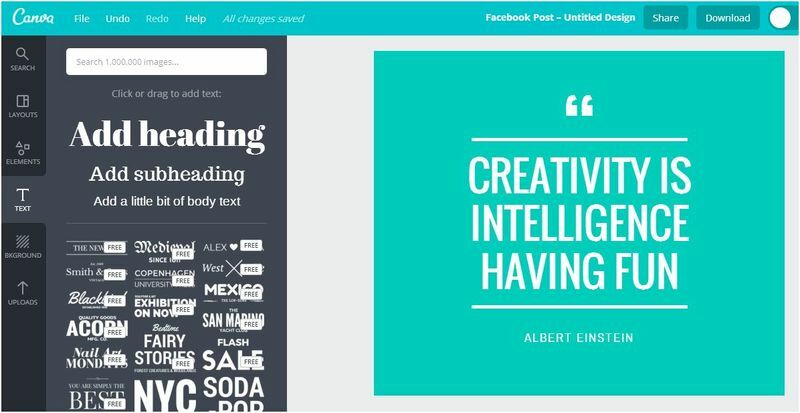 Use Canva to create spectacular graphics and collages to showcase your artwork coming together, your studio space, your favorite quotes, and more. While your fans do want to know about your latest piece for sale, they will get bored if you only have sales pitches in your artist newsletter. In fact, newsletters are a chance to further share your blog content and provide a unique look into your life as an artist for your most loyal customers. For example, sharing a personal invitation to your upcoming gallery show may feel like an exciting and exclusive opportunity to your subscribers, and also might help you build a crowd at your showing and land a sale. Learn more electrifying content ideas, like how to host a giveaway or sell a painting every month like Debra Joy Groesser, in 9 Artist Newsletter Ideas to Delight and Excite Your Fans. Podcasts are a fun alternative to reading an article or blog post. So why not try hosting your own? Whether you tell an intriguing story, discuss what you’ve learned in your art career, or invite fellow artists to talk about their experiences, listeners will be impressed with your extra creative content. For tips on how to begin, check out How to Start an Art Podcast from Someone's Who's Done It. If you need topic ideas, check out 7 Essential Podcasts for Artists and 7 More Essential Podcasts for Artists to see what some popular art business podcasts are like. Now start creating valuable content! If there is one thing to take away about content marketing, it’s the benefits. Creating fun content will help advertise your art business while still keeping your fans and potential buyers intrigued. Giving them something interesting to read, watch, or listen to will not only hold their attention, but it will make people happily want to share your content and in turn spread the word about your art career. And, that means more potential buyers seeing your incredible artwork. 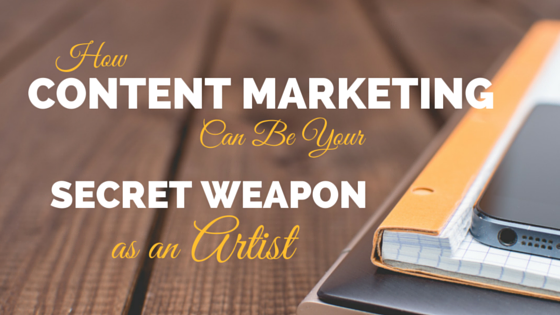 Want to learn more about content marketing for artists? Watch this webinar from Cory Huff of The Abundant Artist. Inventorying your artwork is about as exciting as going to the dentist, or is it? These six perks show how much it advances your art career.